Helen Black’s latest novel is the story of Porsche-driving Liberty Chapman, an up-and-coming solicitor in a law firm. The company is about to make a lot of money through a lucrative merger. Liberty wants in on the deal and is ready for the challenge. Unfortunately, there is a problem which her superior, Ronald Tate, wants her take care of. The son of a millionaire website owner involved in the merger has been arrested for assault in Leeds, Yorkshire which is the city that Liberty left behind, doing her utmost to forget a nightmarish childhood. For if Liberty Chapman had stayed in Leeds, she would probably have ended up on drugs, dead or worse. Thanks to a fortuitous meeting with a sympathetic solicitor who put her on the right path, she got an education and a new life. Visiting the past might only lead her to a place she does not want to go. 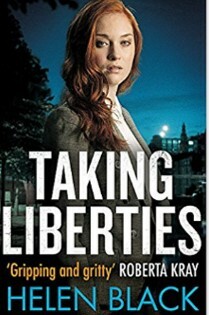 Liberty encounters people like kind-hearted solicitor Raj Singh, a local man who knows the system, hardworking police officers Sol Connolly and Amira Hassani, various thugs, strippers, drug addicts and prostitutes as well as her estranged siblings, Jay, Frank and Crystal. Her job is not going to be anywhere near as simple as she first thought. Helen Black’s story barrels along at a steady pace, interweaving 1986 and Liberty’s childhood with the present day and we begin to see where Lib’s strength comes from. Little by little we begin to empathise with Liberty and her family. It’s quite an exciting read full of interesting characters with real lives, some shocking moments and a whole lot of street language. It all has a certain air of authenticity because Black is obviously drawing on her background as a lawyer and her work with children going through the care system before turning to writing. And write well she does. A good thriller which is worth a read.